On a rainy afternoon in Kansas City, Jay McShann (one of the few surviving greats from the Charlie "Bird" Parker era) lead three Kansas City jazz icons, Michael T. White, Tommy Ruskin and Milt Abel, back in time to recapture the sound that was and is Kansas City jazz. This album is the result. A musical happening that captured a moment in time - preserving it for eternity. The project was recognized by the music industry in 1991 when it was nominated for a Grammy Award. Music is Kansas City's heritage (read more about Kansas City's Jazz and Blues heritage here) and we have the responsibility to preserve and protect that heritage. The Kansas City Star, through their generous funding of this project, made a significant contribution to that heritage. Net proceeds of the sale of this album will be donated to Project Warmth, under the joint sponsorship of KCTV Channel 5 and the Kansas City Star. Six years later, the quartet got back together with a few other Kansas City musicians to create one of the most beautifully produced jazz albums for Christmas. Click HERE to learn more about this CD! 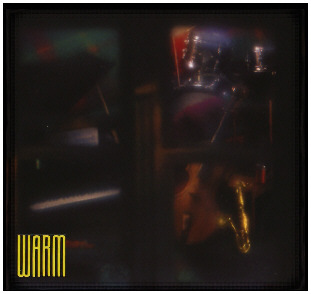 Warm is available as a CD from Amazon ! If you live outside the United States, call 800-237-4891. If you live in the US, then click here to order online! Click Now To Get Your Copy of Warm from Amazon! The tracks on Warm are classic blues and jazz favorites ... take a listen now to clips of these fantastic songs. Click onto a song title to hear it with Real Audio. If you don't have Real Audio, download it now for FREE! If you like what you hear, then click HERE to get your copy of Warm! 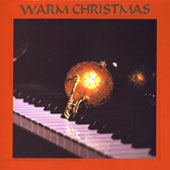 Remember, net proceeds from the sale of the CD go towards Project Warmth. Jay McShann is known for his blues and boogie-influenced percussive piano style, but he is a master of all jazz piano styles. He continues to tour and to expand the tradition of Kansas City jazz, which he helped create. McShann taught himself piano as a child, despite his parents' disapproval of his interest in music. He began his professional career in 1931, playing with saxophonist Don Byas and studied at the Tuskegee Institute, one of the leading black educational institutions in the United States. In 1936 McShann moved to Kansas City, Missouri, and played at the Monroe Inn on Independence Avenue. 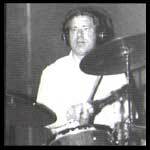 The following year he formed a sextet and began a residence at Martin's on the Plaza. In late 1939, McShann assembled a big band and played at the Century Room and Fairyland Park. The Jay McShann Orchestra toured extensively and recorded for Decca in 1941. The band's most popular recording was a blues entitled "Confessin' the Blues." The band also performed and recorded many contemporary compositions all along the stylistic spectrum from traditional jazz to Kansas City style to bebop. This musically progressive band, whose oldest member was 25, included drummer Gus Johnson, bassist Gene Ramey and the young Charlie "Bird" Parker (1920-1955). In 1937, McShann was the first professional leader to hire Parker, who was just out of high school. 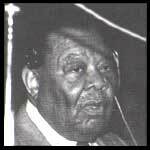 McShann's recording of "Hootie blues" was the first recording to document Parker's emerging genius. Parker stayed with McShann until 1941. McShann's band had its debut in New York at the Savoy Ballroom in February, 1942 to enthusiastic reviews. McShann served in the armed forces from 1943 to 1944. After his discharge he re-formed his big band and worked in New York and California. In the late 40s McShann led a small combo that featured vocalist Jimmy Witherspoon working around 52nd Street in New York. 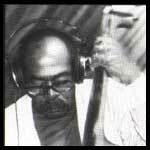 During this period he recorded for the Aladdin and Mercury labels. McShann returned to Kansas City in 1950, studied at the Conservatory of Music, and toured regionally with his trio and small groups for two decades. From 1969 to the present, McShann has toured extensively, appearing at music festivals world-wide. 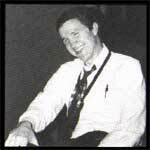 He has also recorded critically acclaimed records for the Capitol, Atlantic, Sonet, Black and Blue and Sackville labels. He was the subject of a 1978 documentary film Hootie Blues by Bart Becker and Michael Farrell, and he is also showcased in the Bruce Ricker film Last of the Blue Devils (1979). Click Here to add the work of these jazz icons a part of your music library.